If you want, there are many ways can help you win your betting game. 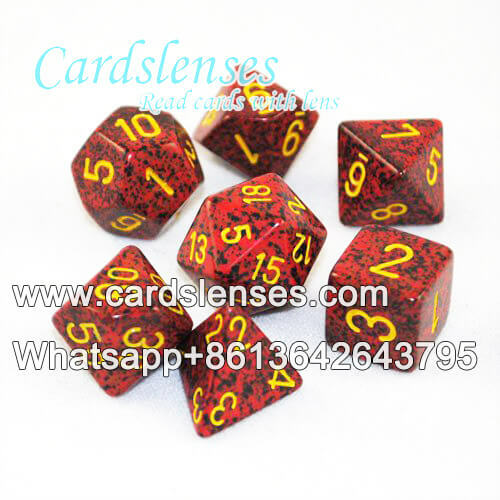 For example, invisible ink marked decks and poker winner analyzer will make you be the winner in casino poker game; and mercury dice is a good dice tricks product. Mercury is the only liquid metal in the world, and because it has the sticky, heavy and movable features that we do not choose iron powder or sand to replace it. To meet the need of getting any numbers we want, we pull out a three-dimensional rhombohedron interior of a dice. And because the mercury is movable, it can move to any side of the dice. For example, if you want to get 6 pips, you just need to face down 1 pip and know it lightly, then, the mercury will move to the side of one. And under the action of gravity, the face of six will always be upwards. And because of its sticky and heavy features, it won’t move easily to other corner inside the three-dimensional rhombohedron. So, it has a 80 percent of high accuracy.